A website alone cannot do justice to the vibrancy, friendliness and sense of busy purposefulness of the St Hilda’s school community. Reception Entry 2020: If you would like to apply for a place in Reception for September 2020, please send the registration form with the fee of £100 to the Registrar. Assessments will take place in October 2019. Occasional places: A number of occasional places come up throughout the school. If you are interested in a place, please contact the Registrar for an initial discussion. 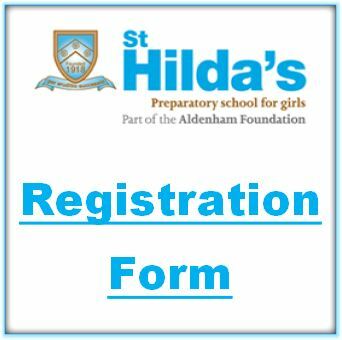 Please click on the form below to download, or email registrar@sthildasbushey.co.uk for a prospectus and information pack. Please include your contact details, your daughter's name and DOB, and your proposed year and form of entry. If you are interested in applying for a place in Bluebird Nursery, please return to the Main Menu and click on 'School' and 'Bluebird Nursery'. Please click here to download our registration form or click below. For your reference, please see our Standard Terms and Conditions.